Chanting has a regular occurrence in some sports but is not normally found in others. Soccer probably has the richest chanting tradition, but it is a significant element in basketball, wrestling, ice hockey, and many others. Chanting is unusual, or non-existent in tennis, hurling (an Irish sport), rugby, and more. We saw the familiar Call-and-Response structure found in both prayer and political demonstration, that is capable of scaffolding a strongly differentiated belief. This is how Theology and Political Ideology both make use of Joint Speech. The former ritualises it, in keeping with its sense of continuity of belief. The latter is only rarely able to stabilize its beliefs sufficiently for effective use of this, until it becomes likewise ritualised in the ceremonies of the State, or in Parades of Commemoration. This form is found in the swearing of secular oaths of allegiance when new citizens are sworn in. It is also found in prayers within the main mosque at Raqqa, within the current Caliphate, set up the the Islamic State. Students of Joint Speech might like to ponder what the relationship between individual belief and the associated institutions of power is that is indexed by this structure. A cursory summary, courtesy of Google Scholar, reveals in excess of 9,000 academic publications devoted to the marginal and highly localised phenomenon of glossolalia, or speaking in tongues. The same method, when turned towards joint speech, collective speech, choral speech, or synchronous speech, shows less than 800 academic publications. There is an order of magnitude less in the observational and scientific canon about the widespread practice of joint speech that stitches together our rituals, our liturgies, our secular ceremonies, and our school practices than is to be found in the study of an isolated phenomenon that few of us will ever encounter. How heartening then to see some careful documentation of chant in a specific situation. 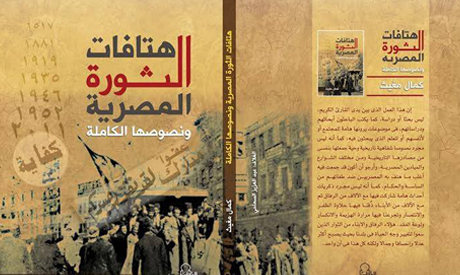 Kamal Moghith has recently published a book entitled “Chants of the Egyptian Revolution“. In it, he collates chants from different eras, as part of different and successive political movements. He considers the relation between the concerns of specific groups, such as professors, and the larger social currents within which these aspirations become enfolded. So far I have only been able to find announcement of the launch. I hope a translation may some day appear. We need more observation, careful documentation, and to integrate these observations in our discourse of our singular and collective selves. The term “chant” is delightfully ambiguous in English. It can be employed for the robust shouts of protesters, and for the austere beauty of plainsong in a monastery. Let us start with the avowedly musical forms of chant. Most forms of song termed “chant” are not metered: that is, they do not have a regular n-beats-in-a bar structure. Rather, the length of musical phrases tends to be dictated by the text being sung. Similarly, melodies are sparse, harmonies often absent, and instrumental accompaniment is kept to a minimum, if present at all. (Sung) chant is thus speech with a minimal musical ornamentation. Music again has insinuated itself. There is some evidences that the simple repetition of a spoken phrase can cause the perception of that phrase to switch from speech to song. Diana Deutsch has called this the “speech to song illusion”, and it is illustrated at this page. Repetition of a short phrase is a feature of both protest and prayer, so it is unsurprising that we find this leaky blending of speech and song in both domains. If you want to read more, here is a short paper on the topic by myself.